Well, seeing as how we've got a couple of forumers currently on strike, i'll kick this off. Last edited by Jezza13 on Fri Feb 15, 2019 10:57 am, edited 2 times in total. This and the Mclaren are my favourites so far. Bit too much branding stickers for my liking & the fluorescent lighting probably made it look more Orange during launch event. But I do like matte finish. Clear evolution of last year with lot of similarities. Yeah, very orange-y isn't it? I do like it. I also kind of like the big lettered MM! Apparently I'm going against the grain here but... 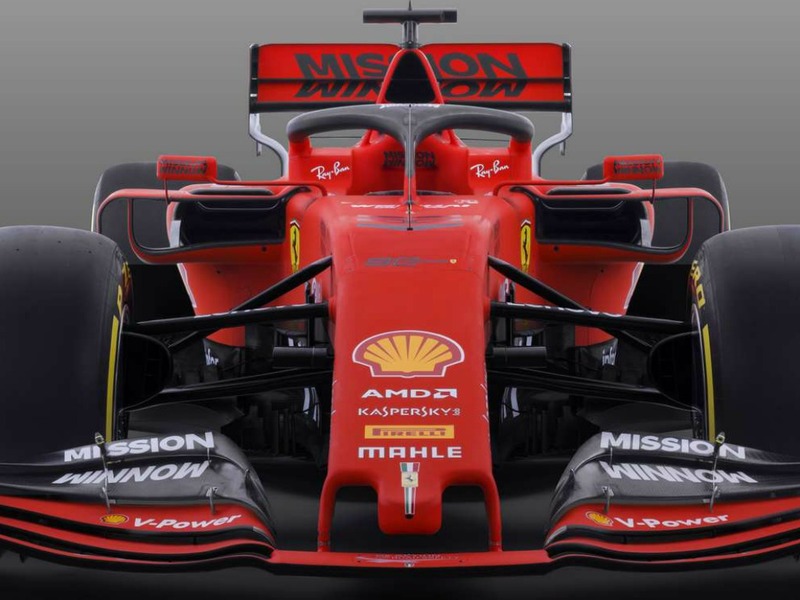 I really don't like the black (which in some of the photos appears to be more of a slate grey) on the Mission Winnow logos, and it just kills the livery for me. Bit boring for me....it just a red car. For a less cosmetic opinion those side pods are huge! Much better in proper lighting. You mean the cigarette advertisement? The dark colour of the title sponsor, compared to last years white, is to represent how lungs change colour after a year of smoking. I hate to say that I really love this livery. The car itself is also very impressive though a bit more conservative than I was expecting. Front wing looks completely focused on maximizing outwash rather than maximizing downforce. The one area where they seem to be extremely aggressive is with the barge boards. Very far forward and very developed. Very tight rear as well. Also, I thought shark fins were banned lol. At least someone has commented on the cars potential rather than how red it is. It is a different design to the others but a development of last years car. Ferrari had good years in 2017 and 2018 with significant progress. Can you still make a big step forward without a full revamp? 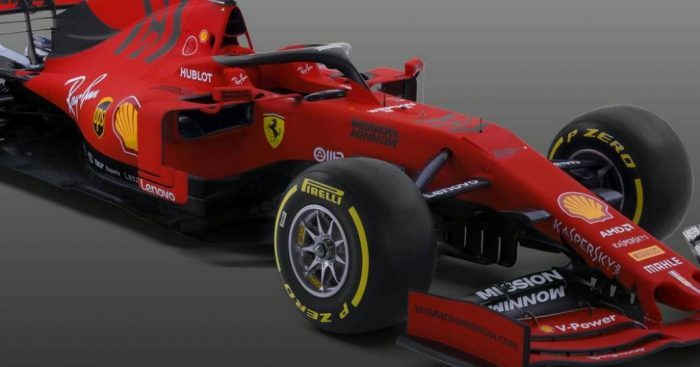 I like the black in the livery (although I think the Halo looked better red), although I'm not sold on the matte paint. It'll probably look better on track. For now, I think the matte makes it harder to discern the shape of the car in the pictures, which makes it more difficult to speculate on exactly what's changed. It definitely looks like an evolution of last year's car to me, though; hopefully that's a good thing, since last year's car was pretty good. The talk of this being an evolution of last years car is maybe a little worrying. Obviously that isn't necessarily a bad thing, but I'm not sure it talkies with what the former team principal was saying, basically that last years car wasn't quite good enough and it was causing Vettel to overdrive and make mistakes. That's nonsense. The car was the strongest in the field at more races than any other. Vettel's mistakes can't be blamed on the car. Yeah, agreed. If the car is simply as good as it was last year (relative to Mercedes/RBR), it's good enough to win. Considering that Merc seem to just be evolving their car every year, I think playing it safe and doubling down on what they've already got is a good play by Ferrari. Couldn't be a sneaky reference to Marlboro now could it???? Looks terrific and I especially like the front wing. I wonder who has the best concept? The regulations have made for several interesting front wing concepts. A car that was beaten by a full second in Catalunya or a car that could not stretch its legs against RBR in quite a number of races asides mexico I cant remember races where the Mercedes struggled against RBR, yes Vettel made his mistakes but Ferrari will want to lead from the front and not have to struggle no one wins a championship coming from behind. yeah, but I think he was only talking about minor differences. Overall, the car was very competitive so it was a pretty good baseline to have, regardless of whether you think the car was the best or 2nd best. Just an observation from all the cars so far, all the front wings are MASSIVE! It's amazing how much bigger they all look, even if they are simpler aero wise. Let's see how many times they trip over them and break them off. SF90 looks strong. leads laps both days and time sheets regardless of fuel loads, tires, the teams know the true speed and everyone is saying they look fast. Need to keep the development up to high levels, so far so good.